When Ashley Kincannon graduated from high school, she was nine months pregnant, recently married, and working part-time at Walmart while she kept up with school. While she was in high school, an English teacher and a Consumer Science teacher—both of whom Kincannon still keeps in touch with today—took an interest in her and helped to steer her toward a better path. “School was my safe haven,” Kincannon says. “My teachers were my support. They were the people who were rallying behind me and believed that I could do something. These teachers didn’t just help her survive a difficult childhood, they inspired her to go into the profession herself. When Kincannon, now 27, sets her mind to something, she finds a way. Raising her daughter and working full-time at a day care, she got her associate’s degree at in education at National Park College, graduating ahead of schedule in December of 2010. Then came a second daughter, more part-time jobs, and commuting back and forth more than an hour to Henderson State University to get her degree in English in 2013, with a focus on 7-12 grade education. Still happily married after nine years, Kincannon says her family kept her focused as she pursued the teaching profession. Just four years after being told by some that she wouldn’t amount to anything, she got her dream job. In 2013, she was hired as an English teacher at Lake Hamilton Junior High. In addition to teaching eighth and ninth grade English, she has also team taught special education English. She continued her own coursework while she was teaching, and in 2016, she earned a Masters of Science in Education degree with a focus on English as a second language. In May she completed an Education Specialist degree with a focus on curriculum. This year, she also began teaching two sections of English designed specifically for ESL learners. Kincannon says that she’s still learning how to navigate the challenge of meeting those needs in an ESL classroom. During Kincannon’s first year of teaching, as her school began to implement Google applications and Chromebooks, she was eager to get a crash course in using technology in the classroom. 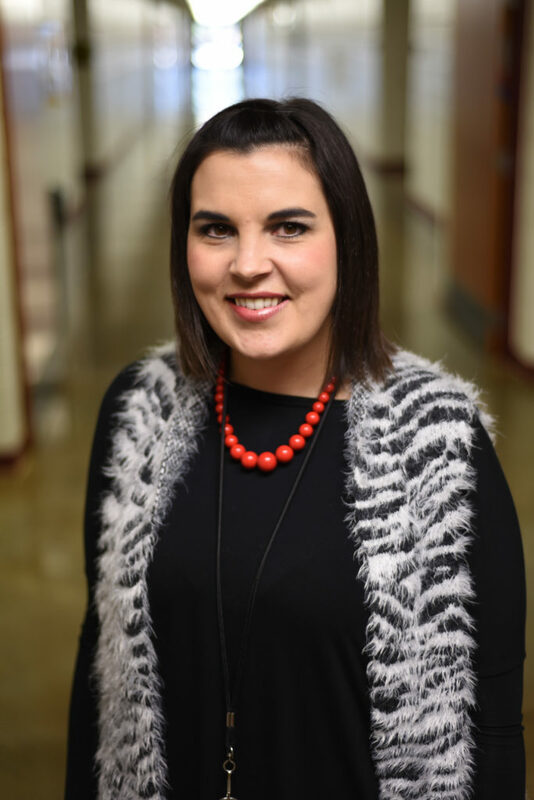 Kincannon began giving presentations on using technology in the classroom for other teachers at conferences and trainings, and she quickly found that she had a passion for professional development. She’s now given 19 such presentations throughout the state, and works with teachers and staff at Lake Hamilton. Kincannon’s passion proved a natural fit for engaging with early-career educators, a mission that she has been empowered to pursue with her recent involvement with AEA (Kincannon now serves as a building representative). 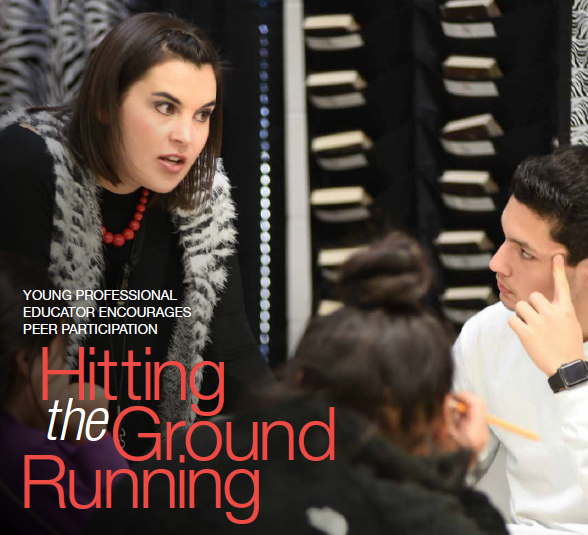 AEA leadership encouraged her to apply to participate in a NEA summit in Orlando for early career educators (ECEs – teachers in the first five years of their careers). Kincannon was selected and attended the conference in February. “It was absolutely incredible,” she says. “I really learned how to network with ECEs, and why there is a need for support for them. Even as teachers gain experience, educators who are younger need targeted support, Kincannon says. At this year’s AEA Representative Assembly, Kincannon successfully brought proposals to create new networking opportunities for both ECEs and under-35s. Kincannon plans on continuing to take an active role in professional development as well as nurturing support programs for ECEs and under-35s. Kincannon’s own experience growing up has helped to foster that commitment, and still colors her approach to teaching today.